Chelsea from A Duck’s Oven and author of “Everyday Sous Vide: It’s All French to Me” here to tell you all about how the Vesta Precision Imersa Elite has totally changed my sous vide game. If you’re wondering which immersion circulator is going to be right for you and your kitchen, let me tell you why the Imersa Elite works for me! I’ve been ‘viding (yes, it’s a verb) now for about 4 years and I really can’t believe how much better it’s made me as a cook. Steaks, pork chops, creme brulee, pickles: you name it, I’ll sous vide it, and know it’s going to turn out perfectly, whether I’m cooking for just my husband and I or the extended family is over for dinner. As much as I thought that sous vide in general was a level up in my cooking routine, I didn’t know the sous vide experience could be made even better thanks to the folks at Vesta Precision and their Imersa Elite. I’ve used several other immersion circulators in the past, but they can’t hold a candle to the Imersa Elite. The Imersa Elite is compact. Whenever I talk to people about sous vide, one of the first things they say is “I don’t need another gadget taking up space in my cupboards.” I hear you, but the Imersa Elite is no pressure cooker. It’s not even a foot tall (unlike other immersion circulators) and folds up nice to easily be stowed in a drawer. The Imersa Elite doesn’t require as much water to operate. I’ll admit to feeling a little twinge of guilt every time I fill up my container with water to sous vide. I generally try to get as many uses out of that water as I can before using it to water my plants. The Imersa Elite doesn’t need nearly as much water, so I can feel better about my favorite cooking method! WiFi connectivity. Another common complaint about sous vide cooking is the added cook time (which is totally worth it, by the way). For those of us that work a 9-5, we don’t want to get home at 6pm only to have to wait two hours to eat. Enter WiFi! Put your food in an ice bath before you head to work, then remotely turn on your Imersa Elite whenever you’re ready for the food to start cooking. It’ll be ready to finish when you get home. 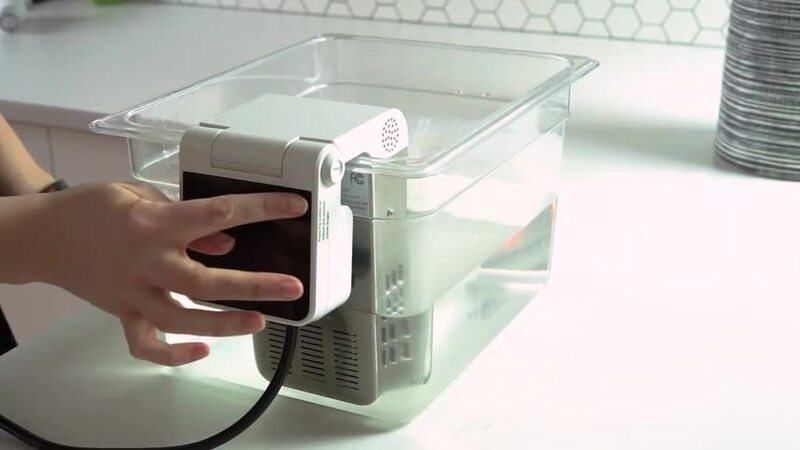 If you’re wondering which immersion circulator is right for your kitchen or looking to upgrade your current sous vide situation, consider all these reasons when making your choice. You probably need an Imersa Elite in your life!